Ariana Grande has accused the organisers behind the Grammy Awards of "lying" and "playing games". "I've kept my mouth shut but now you're lying about me," the singer wrote on Twitter. "It was when my creativity and self expression was stifled by you, that I decided not to attend," she added. The row appears to centre around what songs were expected to be included in Ariana's performance. "I offered three different songs. It's about collaboration. It's about feeling supported. It's about art and honesty," Ariana said. "I can pull together a performance over night and you know that, Ken. I hope the show is exactly what you want it to be and more." Ariana Grande doesn't need to perform at the Grammys to boost her sales or increase her fanbase. Fans are way more excited about her music videos than they are about seeing her perform live at the Grammys, especially if you aren't there. It's a much bigger loss to the Grammys to not have the biggest pop star in the world performing at their show. Ariana Grande's decision not to perform is the latest blow for organisers of this year's event. "The fact of the matter is, we continue to have a problem in the hip-hop world," he told the Associated Press. 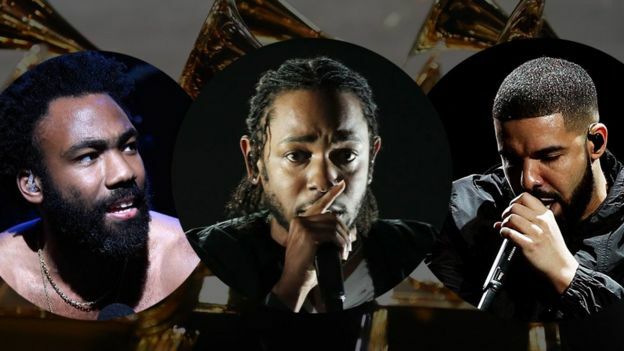 Kendrick, Drake and Childish Gambino have all been invited to the awards despite not accepting the invitation to perform - although it's unclear if they'll attend the ceremony. The ceremony will come two days after Ariana Grande released her latest album - Thank U, Next - which came out on Friday.